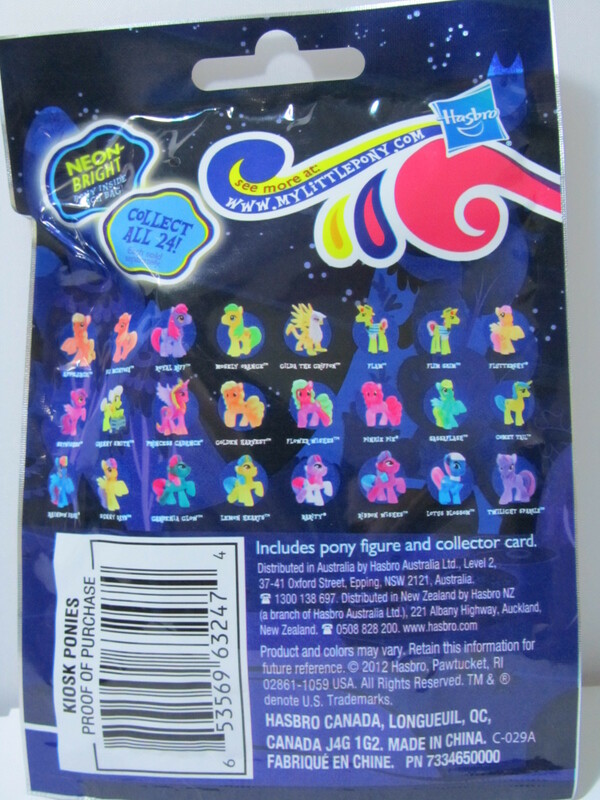 aquaticneon on Tumblr sent in these pictures of the packaging for wave 8 of the blind bags. The front states that they’re “neon-bright,” with translucent plastic in bright colors. The “collection” is a neon apple. This includes many of the figures we’ve seen at the Toy Fair. 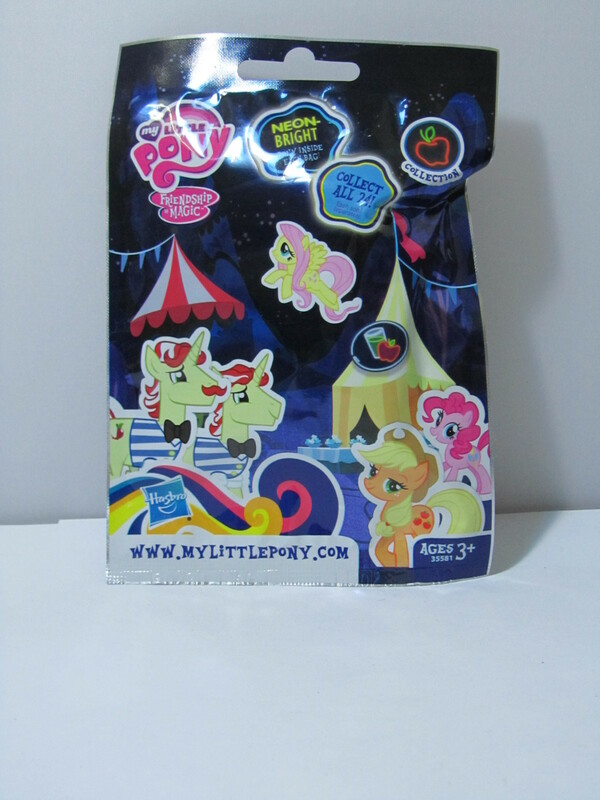 The back shows all the ponies, but the bag no longer has the seam we’re all used to. It’s difficult to tell if there’s a code on it. Ponies include the mane 6, Gilda, Flim and Flam, a new stallion in Shining Armor’s miniature collection mold, Princess Cadance, Granny Smith and Lotus Blossom. There are also ponies that have been released before, such as Gardenia Glow and Sassaflash. More info will be published when information is found. My friend and I figured it out. There are letters stamped at the bottom. Each one begins with an A. All of them have 30281 then A and another letter. The second letter is the one you want!!! !